DRUM EXPO 2013: YouTube is a good way for drummers to get noticed. Here, four of the medium's biggest stars tell you how to make your mark online. Since first appearing on YouTube: "I've had the chance to sign some endorsement contracts, perform in international festivals and record for international artists." Since first appearing on YouTube: "I suddenly had new opportunities and springboards and connections. Everyone I considered my drum heroes started emailing me." Since first appearing on YouTube: "I have received multiple endorsement offers, travelled internationally a few times for sessions and appearances, as well as just getting to meet incredible people in the industry and supporters who are just as passionate about music as I am." 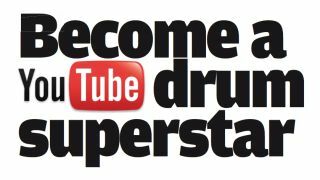 Since first appearing on YouTube: "Loads of opportunities have arisen. More recently I've been approached by MusicRadar.com to create online drumming tutorials." Vadrum: "Definitely one of the reasons that first led me, and still leads me, to make drum videos is because I love every single aspect that concerns the production of a video - the birth and development of an idea, the drum arrangement, the setting up of the kit and mics, the audio soundcheck, positioning of cameras, the video editing process, the audio mixing process, the creation of the graphics. "Plus all the next steps like the publishing on the internet, the updating process of my websites." Cobus: "I always give myself absolute artistic freedom, but I've found I progress more towards control and 'less is more' than the self-indulgent approach I had when I started years ago. I think it's healthy and hopefully is a sign of me maturing musically, but I'm quite stoked to go absolutely nuts again in the next series. "I think it's important to realise that the videos are drum covers, not original recordings. So it's okay to have a ton of fun, sometimes holding back, but also sometimes totally letting go." Steve: "My video was recorded by a fan and it had been online nearly two years but some different person took the video and re-uploaded it with the title 'This Drummer's At The Wrong Gig'. That's when it went nuts. I've emailed two or three times the person that uploaded it and named it that to try and thank them, but they've never returned the email. Vadrum: "My first videos [like the Metallica medley below] were created with very little equipment: a typical '90s video camera and the audio was recorded with a cheap microphone connected to a Minidisc recorder. Video after video, I always tried to improve the audio quality, using multiple microphones and starting to record in multi-tracking system with a multiple channel soundcard connected to software like Cubase. "Regarding the video quality, I soon began to record in multi-angle mode, first recording more than one take from different angles, then using various cameras at the same time. All the video editing and montage has been done on a computer, with standard video production software." Ben: "Once you get your head round linking all the equipment up it's a doddle. The way I record is pretty simple in comparison to other drummers I know. I use GarageBand which comes free with all Macs. I simply record the drums using my mics which are plugged into my mixer and then via USB record in GarageBand. "The editing software I use is Final Cut Pro, which isn't too hard use, but for all my text and titles I use After Effects which I'm still coming to terms with." Ben: "When choosing a track to cover there are many things to consider. A song like Smells Like Teen Spirit, for example, is probably one of the most covered songs on YouTube. If you create a mediocre cover, then it's just going to get lost on the net with not many views as it's been done before." Cobus: "I use a Samson 8Kit plus two Q8's on snares as my mic line-up, a Samson L2400 for some pre and some monitor mixing, and a Presonus Firestudio Tube interface for multi-track recording. As for cameras, I use whichever cameras I can borrow from my friends." Steve: "I practised a lot but I didn't spend hours and hours in front of a mirror. I spent more time trying to make the music feel decent while doing all that fancy stuff. I haven't invented a thing, I'm just stealing from everybody else. "I try really hard to not take credit for inventing some new movement. I'm just doing the same stuff Gene Krupa was doing, I just do it a little differently." Ben: "The point where my YouTube channel changed was when I posted my Muse United States Of Eurasia cover in July 2009. I chose Muse's song as it was brand new. I literally learned the song in a day for like eight hours, then I hit the record button, edited it and posted on YouTube. "The response was incredible. In its first month it reached 7,000 plays, which I was amazed at considering all my other covers were at the 2,000 plays mark after two years." Cobus: "It was never, and it still isn't, a question of trying to set myself apart. There is no complicated marketing plan behind the drum covers. I'm a firm believer that nothing sets you apart as much as indulging in your individuality - nobody has your style and nobody has your creativity." Ben: "Production-wise, try and use more than one camera, make the angles interesting and unique, not just straight-on as it looks boring. Even if you own one camera, record yourself several times from different angles and then bring it all together in the edit. "If at all possible try and invest in some mics, they will make your drums sing and it's a lot more pleasing to listen to." Cobus: "I think there are two big reasons why my videos have attracted as much attention as they have - the kit was miked and mixed, making it sound way better than the millions of other 'point and shoot' drum cover videos online. I was also arrogant enough to mess with the original tracks, and play my own parts sometimes."